I’m not sure if anyone has realized yet but I love chickpeas. Andrew also loves them so we cook them a lot. He is really trying to reduce his meat intake and one way of doing that is bulking up on other proteins. 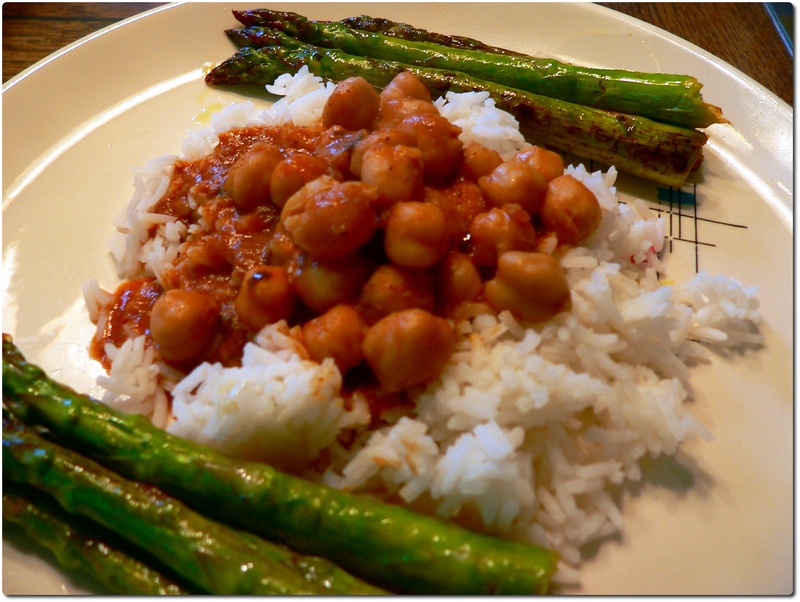 Chickpeas are one of my favorite beans to eat. One of my favorite things to eat them in is curry. There is a curry place very close to where Andrew used to live in Santa Clara that served amazing channa masala. Now their channa masala was not vegan and this one is! This post celebrates the first time I have made rice correctly without a rice cooker. I am very proud of myself. I made my curry with white rice, but next time I think I will do brown rice. It has more flavor than white rice. I do however have twenty pounds of white rice sitting in my cupboard. 1. In a pot bring water, spice packet, and coconut milk to boil. Then add chickpeas and cook until heated through. We served this with Andrew’s asparagus with olive oil and lemon juice. Today for lunch I picked up a bunch of asparagus at Scotts Valley Market along with a packet of dal (Indian lentil soup) spices. I love asparagus. It’s definitely my favorite vegetable. Though I love the way Andrew cooks his asparagus I’m always experimenting. In the Veganomicon they highly recommend oven roasting asparagus. 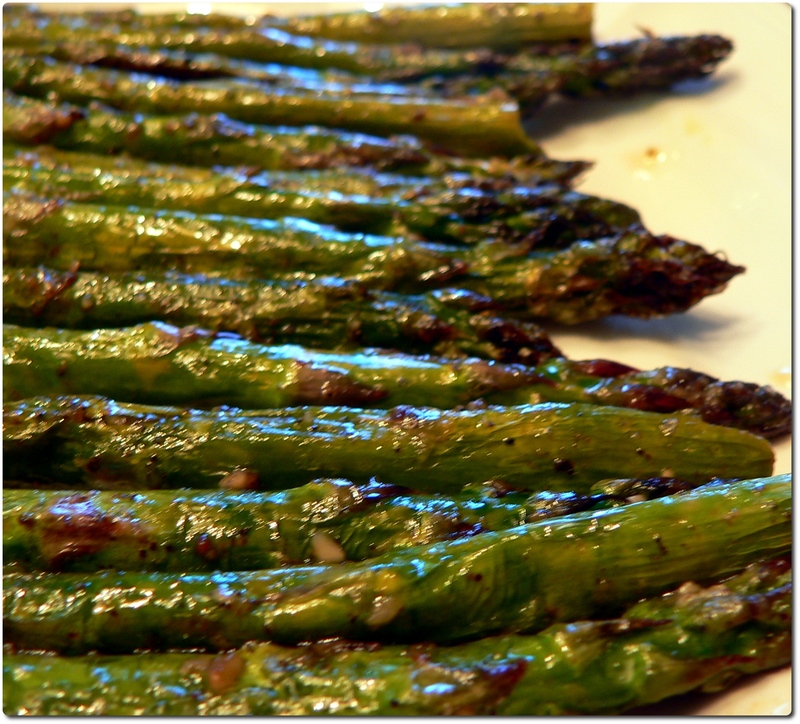 I wanted to try it and see if it was yummy, easy way to cook asparagus. My verdict: disgusting. I hated it! My garlic ended up burning, the asparagus was mushy (even though I cooked it for the lesser amount of time), and it was very greasy. It wasn’t as flavorful as the kind Andrew made either. I’m definitely not cooking it this way again. I was able to get down two stems before throwing it away. I also made dal with chickpeas and whole grain naan. I bought the naan at the grocery store and cooked it in the oven for a few minutes, turning it over once. I cooked the dal according to the spice package. I had to add salt, curry powder, and chili flakes to make it tastier. I didn’t get a picture because my camera battery ran out before I was done. Here I have the thing that killed my landlord’s rubber spatula. It was supposed to kaju katli, that delightful Indian sweet which is somewhere between cashew butter and brittle, that melts in your mouth. Well, mine is delicious but it is not kaju katli and it killed my landlord’s spatula. 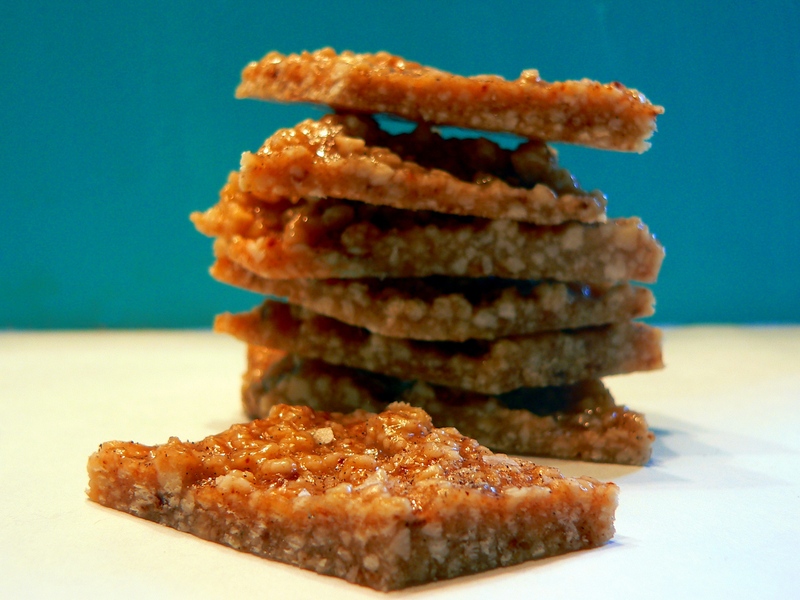 I first encountered kaju katli with my friends Rachel and Lindsay. We bought some at an Indian market next to a head shop in a seedy strip mall in Simi Valley. This does not really narrow down the location since there are a lot of seedy strip malls in Simi Valley with head shops, but this one has a great little Indian market with Indian sweets. The kaju katli was delicious. It is sweet and a little salty and melts in your mouth. I loved it and I was really excited to find a recipe for it on the VeganYumYum blog. 1. Grind the cashews into as fine a powder as you can. The writer at VeganYumYum suggests using a coffee grinder or a high powered blender. I do not have a coffee/spice grinder or a high powered blender so I used my little two cup food processor. I could not get a very fine powder with this so my cashews were still fairly chunky. 2. Mix cardamom powder, salt, and cashews together. Heat water and sugar in a pan until boiling. Add cashews and stir well with a rubber spatula. Cook for abut 5 minutes until the mixture thickens. Now here is where things started going wonky for me. My cashew mixture started to burn and it melted my spatula in half. Seriously, in half. I wish I took a picture of it. Pretty amazing stuff. 3. Pour out the mixture onto a piece of parchment paper and let cool. Once cooled knead until glassy and roll out a 1/4″ thick. Then cut into diamond shapes. Now, I never got to the kneading or rolling part because mine was wrong wrong wrong looking and I had to rush to work. I did taste it and it was delicious. I’m not sure what went wrong. Maybe I had the heat on too high but she never specified if you were supposed to lower the heat after adding the cashews. The burners on my stove are really hot and strange. Low is hotter than medium and high is burn your entire kitchen down high. It’s all messed up. 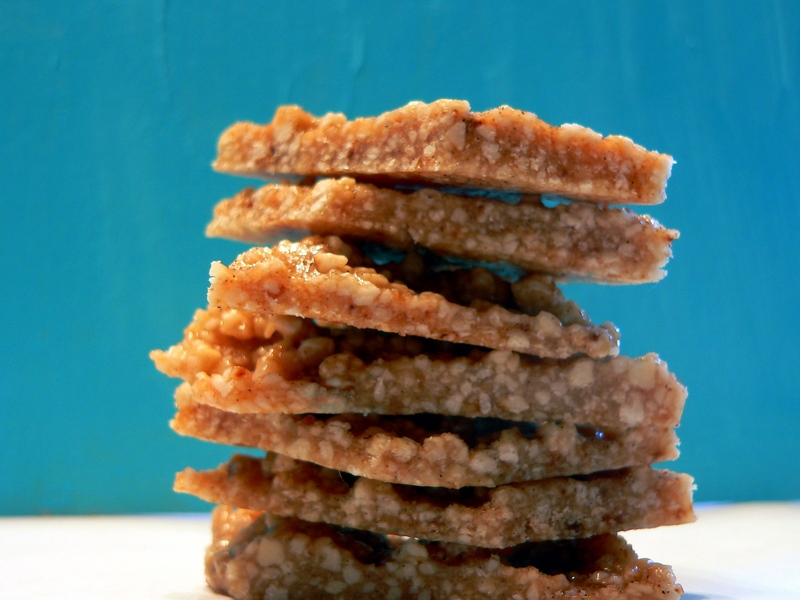 I would definitely make this again though with the expectation that it would not be kaju katli, but cashew brittle instead.